Posted On October 28, 2017 by Team iCynosure. It’s the departure of the monsoons in India, and instead of the winters setting in, the October heat is absolutely killing. And living in a city like Mumbai means I need to deal not only with the heat and humidity but also combat dust and pollution every single day. As if that isn’t enough, I need to travel almost 3 hours each day to and from work using public transport. All this put together, my skin becomes a playground for all things worst. But as most sensible people do, I too believe in the ‘Precaution is better than Cure’ mantra; and so, I’ve upped my skincare game to welcome in the winters. 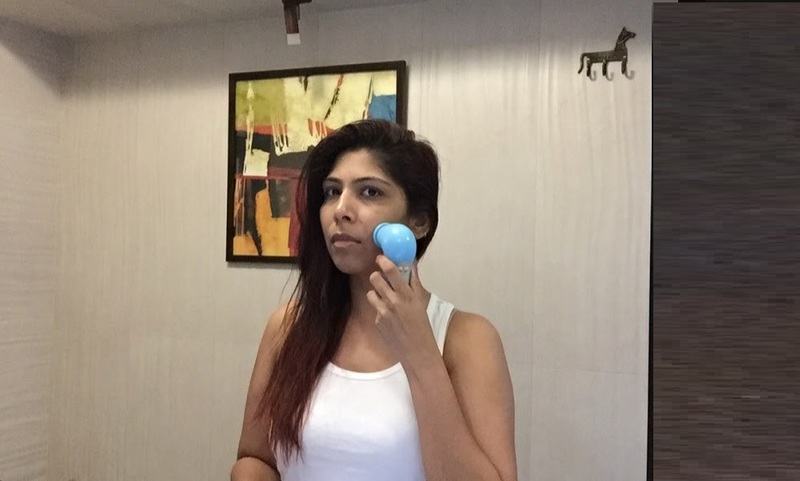 Since last year I’ve included a facial cleansing brush in my skincare routine and its helped maintain my skin beautifully. 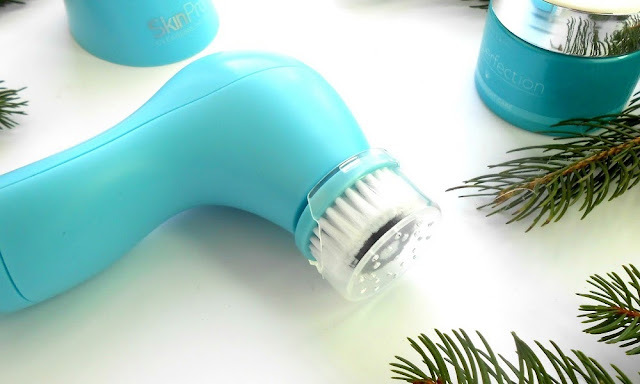 After trying a couple of brands, I zeroed in on the Oriflame Sweden SkinPro Cleansing System. The SkinPro Cleansing System is an effective 2-speed powered cleansing brush that deeply cleanses and gently massages the skin; removing dirt, makeup and oil residual, dead skin cells and deep seeded impurities from the pores resulting in visibly smoother-radiant skin with an even skin tone. The product consists of the cleansing device, a normal or sensitive brush head with cover, a table stand, a travel pouch and batteries. I absolutely love the ergonomic design of the product which makes it convenient to grip and operate. With two speed levels and an automatic one-minute setting, I prefer to alternate between the speeds every day. When I first started using the product, I experienced breakout but I’m glad I didn’t stop at that. Since my skin wasn’t used to the deep cleansing, it reacted differently, but soon settled into a routine. So, my suggestion is don’t stop using the product unless the skin feels damaged and visibly affected. Since using the Oriflame SkinPro Cleansing System I’ve noticed how the skin structure has strengthened thereby improving the blood circulation. Slowly I noticed the steady peeling off, of the uppermost layer of dead skin cells allowing cell rejuvenation via the exfoliation resulting in softer and smoother skin. I’ve even noticed that the deep cleansing has enabled skincare and make-up products be absorbed better giving a visibly more effective look. § Moisten the brush head with water. § Apply a small amount of cleansing gel to the brush or face. § Cleanse by moving the brush head gently around the face. § Rinse face with water and moisturise. Are you ready to say hello to luminous skin? Then invest in a good cleansing system. 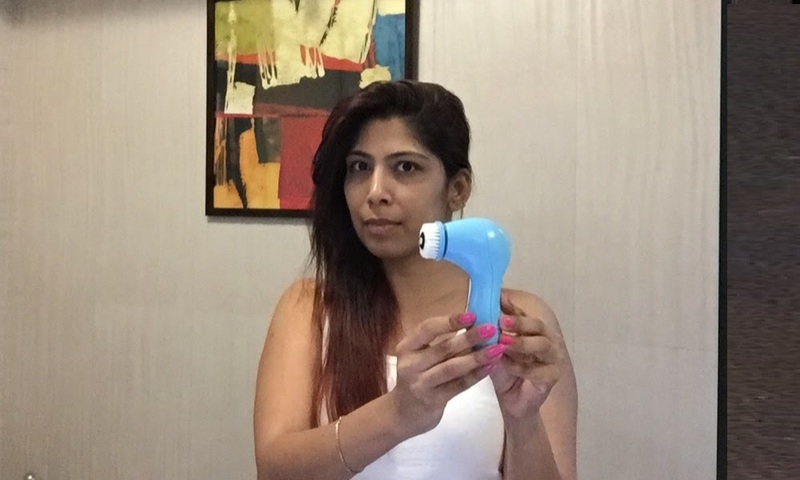 Participation done...loved your blog, its my first visit :) I want to use this cleansing brush because it will remove dirt, I have acne prone skin. I use scrubs but that has also open pores problem. So this one is perfect for me I think. Love it, I want to buy that one! Hi heena, I really want this product in my kitty because my marriage is around the corner and these days, I am spending my 8-10 hrs shopping on delhi streets. After I come back, dirt and pollution makes me look dull and dusky. Like every bride, I need to look the best and for that, my skin needs to fight with these pollutant enemies. I am glad I came across ORIFLAME SKINPRO CLEANSING SYSTEM who can be my savior in fighting these enemies.